CALGARY, ALTA. – Greg Churchill likes to think ahead. The owner of Calgary’s Honda West is already known for running a progressive operation that includes a no-commission sales system, a no-haggle low price guarantee and a 72-hour money back guarantee on every vehicle. 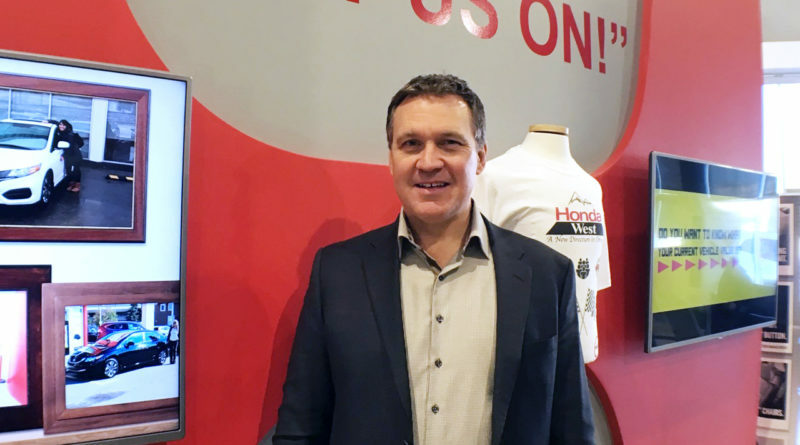 Now, Churchill and his team at Honda West have taken the pioneering retail spirit online and become one of the few franchise dealerships in Canada running a proprietary buy online option for new and used vehicles. The buy online system was developed after watching what some players in the American auto retail space have been doing in recent years. Churchill says the likes of Carvana, Texas Direct and others have helped lead the way for online transactions in the U.S. automotive space. After a soft launch this past spring, he says he is learning more about this sales method every day. Customers on the Honda West website can click on the Buy Online icon for either new or used vehicles. Users search through colour, make, model, year, trim, body style and price or they can simply scroll through the detailed listings. Honda West is one of the few dealerships in Canada that takes images of both used and new-car inventory. And with 200 to 250 new vehicles on site at any given moment, that calls for a lot of shutter bugging. The price on screen for each vehicle is the MSRP. When the user clicks the “buy online” button, a separate window pops up; there they agree to the terms and conditions and the process starts. Customers have to key in personal information and some standard data on any trade-in if applicable. There is an option for a credit application, which can be filled out then, later or not at all if the customer is paying cash. When the information is confirmed and sent to the store, it automatically engages the BDC. The Honda West team will then reach out with its best price on the vehicle, 10 different lease and finance options and include the store’s trade-in guarantee where the dealership promises to buy the trade-in even if the customer doesn’t purchase from them. Once everyone is happy, a refundable deposit of $500 is given to the store via PayPal; that payment essentially reserves the vehicle for 48 hours so the potential buyer can come in, interact with and drive the vehicle. After a few months in market, Churchill says some customers have used the program from start to finish. Its real bonus, though, has been lead generation. “We’ve found not a lot of people go from A to Z with the tool. 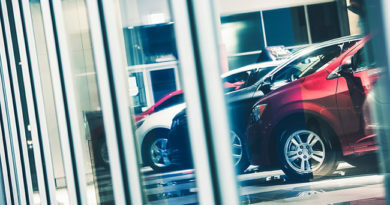 We find that a lot of people start down that path, do more than they otherwise would have been able to do online, then they physically come into the dealership to conclude the transaction,” he explains. Churchill says the store is still learning with the tool and understanding how customers interact with it. He expects to see growth over time as word spreads and as potential buyers get more comfortable online automotive shopping. Honda West is no stranger to forward thinking. In addition to Buy Online, the store cultivates a culture of innovation that helped make it one of the inaugural winners of the Canadian AutoWorld Dealership Employer of Choice Awards this past year. The award determined the dealership was one of the best dealerships at which to work in Canada. The store runs a no-commission sales system anchored by its Easy Deal program. The program is built on no-haggle, no-sales commission pillars designed to make the transaction as easy as possible. The store uses live market pricing, comparing competitor and the market to ensure the retail price is the lowest around. Salespeople offer pressure-free situations because a traditional commission is not tied to the purchase. Once the customer is happy, staff will draw up a no obligation quote that includes the accessories the customer chose, the market-based margin, a sales price good for 30 days and 10 payment options. Each vehicle also comes with a 72-hour, money-back guarantee. Instituting a progressive work environment, the owner says, is key to discovering new opportunities. He warns any dealer contemplating a buy online option has to be comfortable with a few important points. While the model for handling Internet leads for years has been to get the appointment and give them as little information as possible, that just won’t work here.